No more fashion victims, please. Because animals, the planet, the workers and you deserve better. The NYC-based vegan company BHAVA Studio believes that it’s not necessary to use leather for premium footwear. 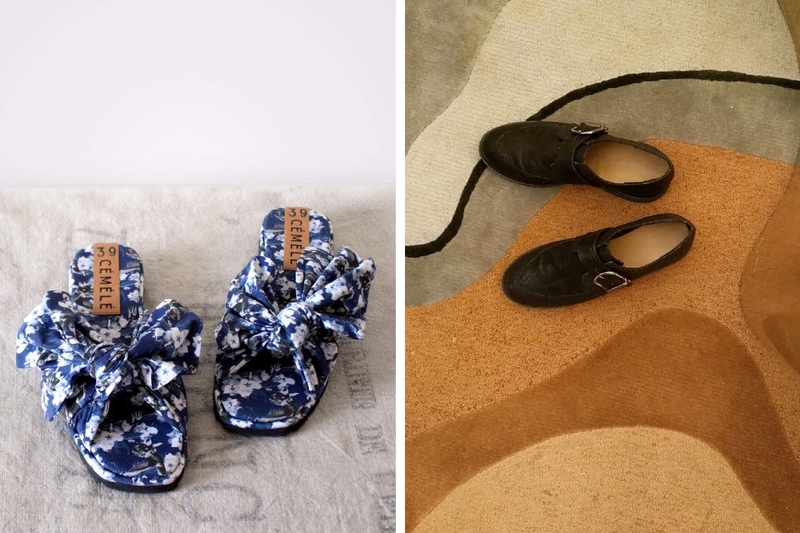 All their fabulous boots & booties, pumps & heels, flats & sandals are made from eco-friendly materials such as organic cotton, hand-painted embossed cork and premium recycled microfibers. Each pair of BHAVA Studio shoes gets tested for comfort and durability when walked throughout in NYC. Their timeless styles are constructed with repairable soles so they last you for years. Ships to anywhere in the world. The good people at Capsule are working to bring back “the art of the handmade”. Traditionally, everything was handmade, before machines and automation was even a twinkle in their inventor’s eye. Over time, these artisan skills are slowly lost. Capsule is rediscovering them and reviving them in a big way. They have sourced skilled artisans from across Africa and Europe to create beautiful, unique pieces that bring life back to these old traditions. Their work helps these artisans make a meaningful living with their craft while bringing awareness to the plight of some of these lost arts. These ethically created, handcrafted pieces are gentle on those who make them, as well as the planet. 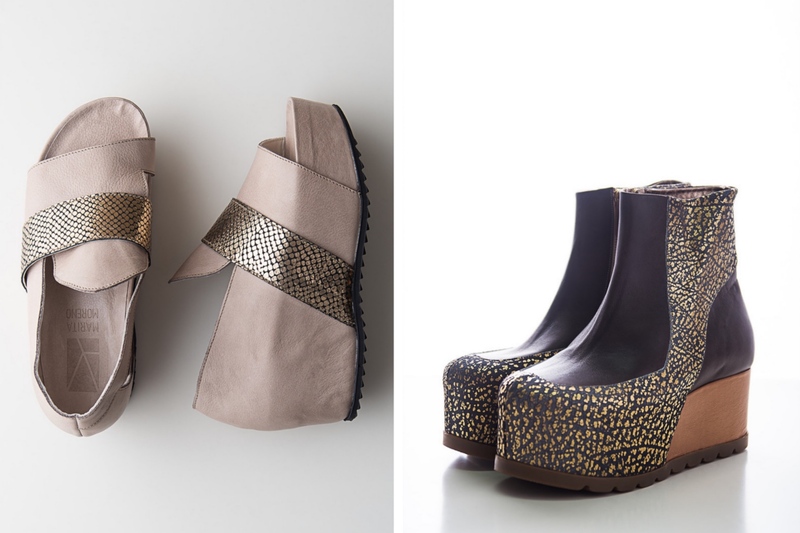 These vegan avant-garde shoes are designed by Coline Burckel in Paris. 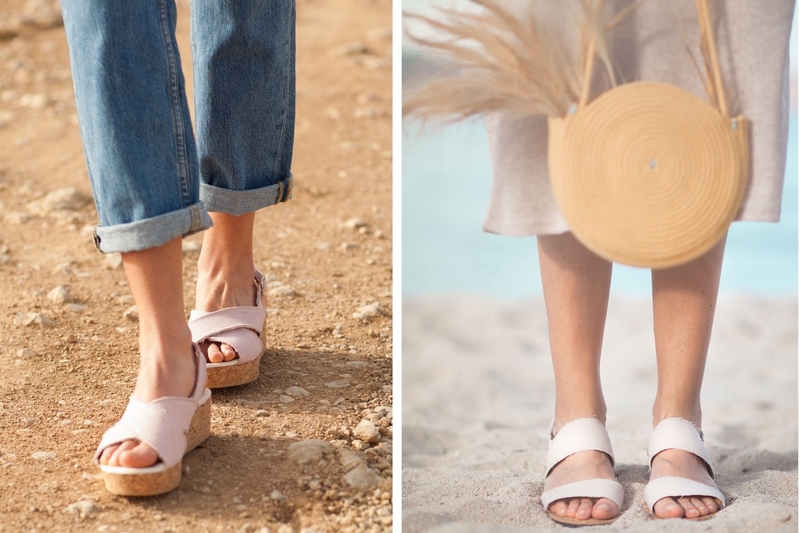 No plastic but almost only biodegradable materials such as pure rubber milk for the soles, metal zippers or vegan wax (to make their shoes waterproof) are used to produce these stylish sandals, sneakers, and derbies. Their brand signature is wood material which has a unique aesthetic and comes in different shades. All components of each pair come from Europe and are manufactured by skilled artisans in their workshop in Spain. Some of their shoes are unisex, and hence partner look-approved. 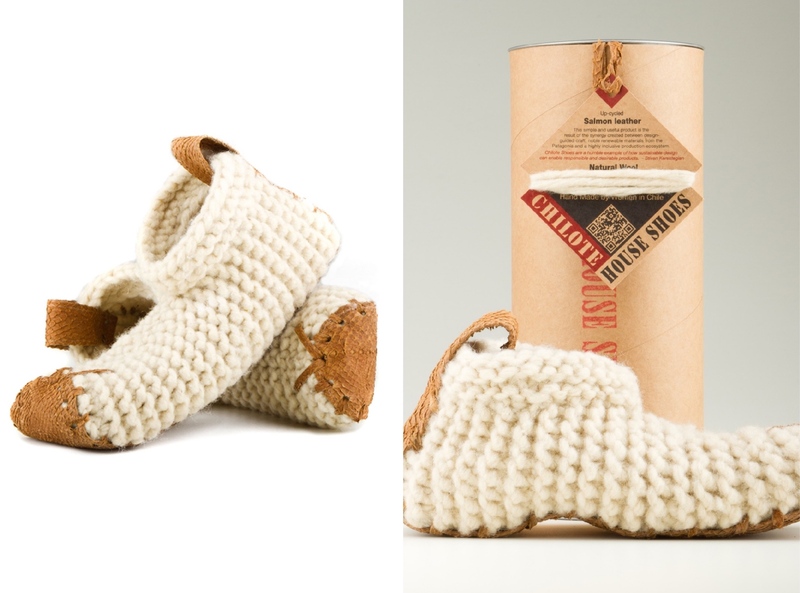 Chilote wool slippers are made from extra warm Patagonian sheep wool and durable upcycled salmon leather. Each pair is fairly handknitted by women artisans in remote rural areas in Patagonia. A QR code link provided with every slipper pair shows you who crafted your unique slippers and in what area they were made. The award-winning slippers are B Corp certified and have a positive impact on our environment and the climate. 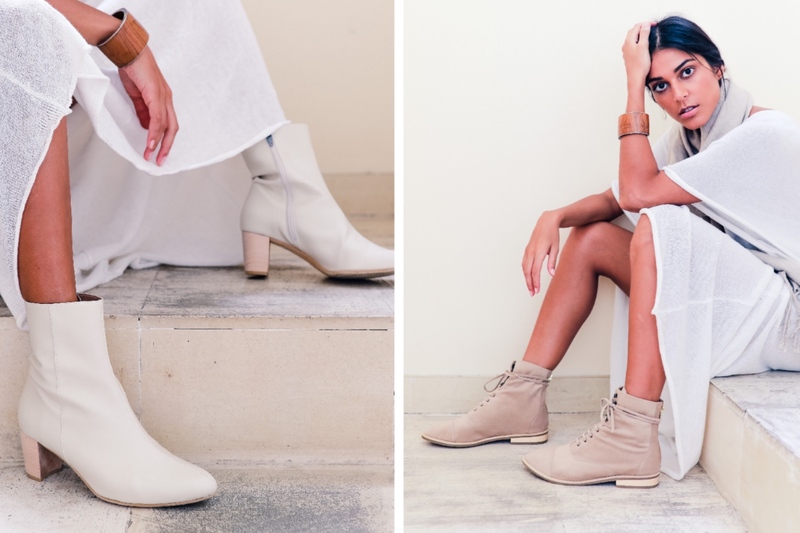 Slow production, slow consumption, NYC-based shoe brand Coclico slows down the environmental impact: Coclico designs are timeless, meant to look beautiful season after season. Founder Sandra Canselier comes from a long line of French shoemakers and continues the tradition with Coclico, overseeing the brands handcrafted production in Spain. The modern, clean architectural silhouettes are designed at their headquarters in NYC. Coclico works with natural materials such as wood, cork and natural-tanned leather, seeking the highest standards of environmental responsibility. 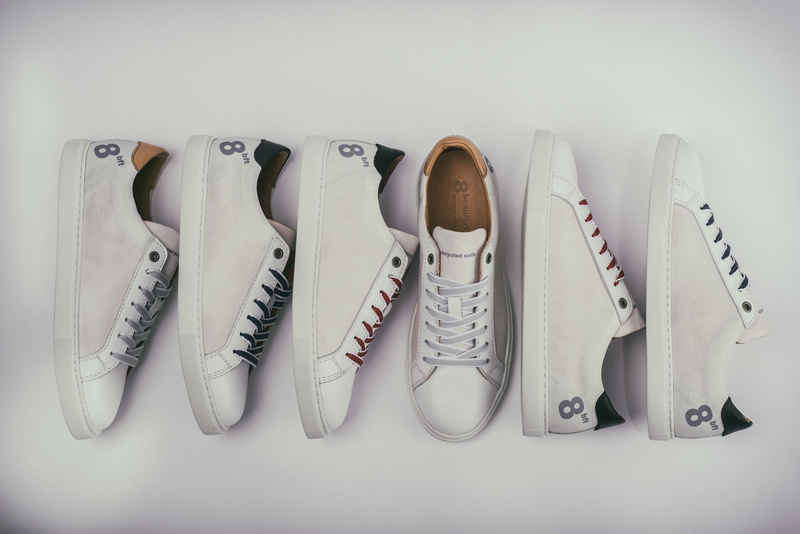 8beaufort produces urban lifestyle sneakers made from recycled sails and chrome-free leather. Made in small batches in Portugal, they are rainproof, super light and extremely durable so that they last you for many seasons to come. The shoes are perfect for your days in the city or on a boat, as they are not only super comfortable but also have an anti-slippery and non-marking sole. Designed in Hamburg, the classic white sneakers are unisex and come in red, blue or grey laces. Which color would you go for? One can tell that founder Marita Setas is an artist. Her distinctive, geometric and contemporary shoe and bag designs already impressed at the NYFW. They impress the environment, too: the Portuguese fashion brand only works with sustainable materials such as wool, leather, cotton, silk or cork, using ecological practices. They have a close relationship with certified artisans who handcraft their unique pieces in a small family factory in Portugal. Their Miramar Line is 100% vegan. All products from Marita Moreno Limited are limited to a series of a maximum of 100 pieces. You will definitely have all eyes on you when wearing them! Organic, vegan and bonito: Maria and her four-legged friends Ringo founded the vegan footwear label out of love for nature, animals, and people. Slowers offers cork wedge sandals, espadrilles and many more shoes for women and men. They produce ethically and don’t use any animal materials, hence all Slowers products are 100% leather-free. Instead, they use GOTS-certified organic cotton, linen, hemp, natural cork and other natural materials. Ringo is one of Maria’s greatest inspirations. He taught her many things such as walking at a slower pace and believing in her heart and intuition. 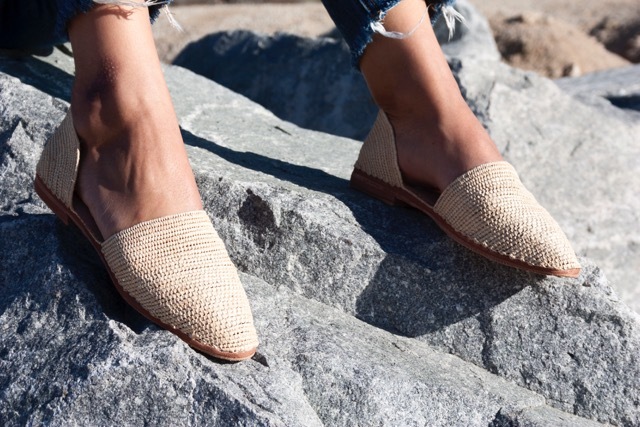 Taylor + Thomas is a sustainable, cruelty-free, luxury women’s footwear brand created in downtown Los Angeles. 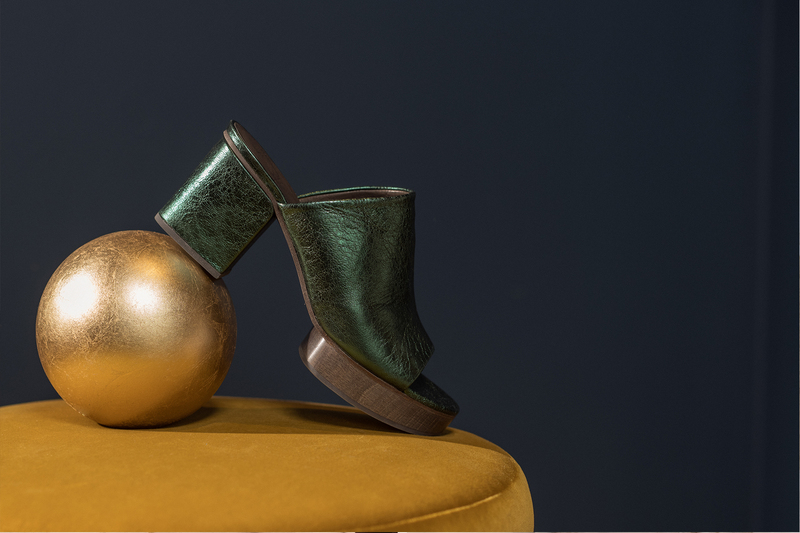 Inspired by muses like Patti Smith, Debbie Harry and Jane Birkin, you can find 70s rebellion, self-actualization, and freedom of expression in each of their chic shoe designs. Forward-thinking and future-orientated, the two co-founders Jessica Taylor Mead and Elizabeth Thomas James place great importance on the health of our planet, animals, and people without compromising high quality. They use vegan materials such as water and vegetable-based PU, FSC-certified sustainably harvested beech wood, recycled rubber, castor beans, and more. Plus, their packaging is entirely made from recycled, upcycled, and recyclable materials. Womsh introduces Italy’s first Zero Impact sneakers for women and men. Their concept is revolutionary. Besides their natural leather collection, the trendy sneakers brand also presents a vegan collection which uses the award-winning, innovative, 100% cruelty-free and waterproof material called apple skin. In collaboration with LIFEGATE, Womsh consciously reduces its CO2 emissions through eco-friendly production, environmental reforestation projects, and upcycling programs. After you wear out your Womsh shoes, you are welcome to give them back so the sneakers brand can collect them to upcycle them into playground floors for children. From design to manufacturing and creation: Womsh sneakers are entirely made in Italy. Worldwide more than 8 million tons of plastic are dumped into our oceans every year. More and more fish, seabirds, sea turtles and other marine mammals have been found with plastic in or around their bodies. And if we don’t change our lifestyle, the ocean will have more plastic than fish by 2050. 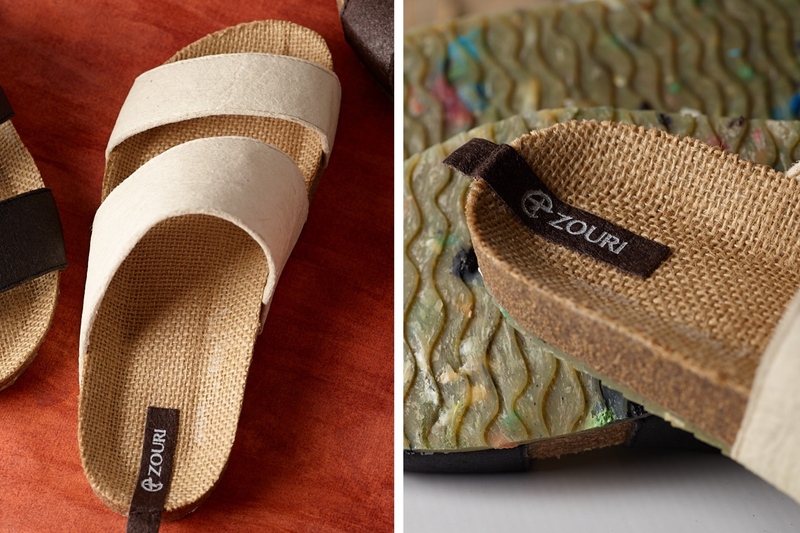 Together with Zouri you can make a change, step by step: the eco-vegan footwear brand uses plastic waste they collect from the ocean to make their sandals. With each pair, Zouri upcycles about 6 plastic water bottles. We are all in the same boat, so help make our oceans plastic free. For a better future.